There are changes to the terms and conditions of our delivery service. Our courier service requires a 24 hour service for perishable items (fresh meat and frozen products), however, this service is unavailable for international items which contains perishable products. The delivery service we use is Euro Priority Business which is a 2 working day service. Our packaging ensures that meat and frozen products retain their freshness for up to 48 hours. They are tried and tested to last for this amount of time under generic dispatch conditions. Therefore, any such shipment that we send out from what you order, WILL be sent, BUT at your own risk only. 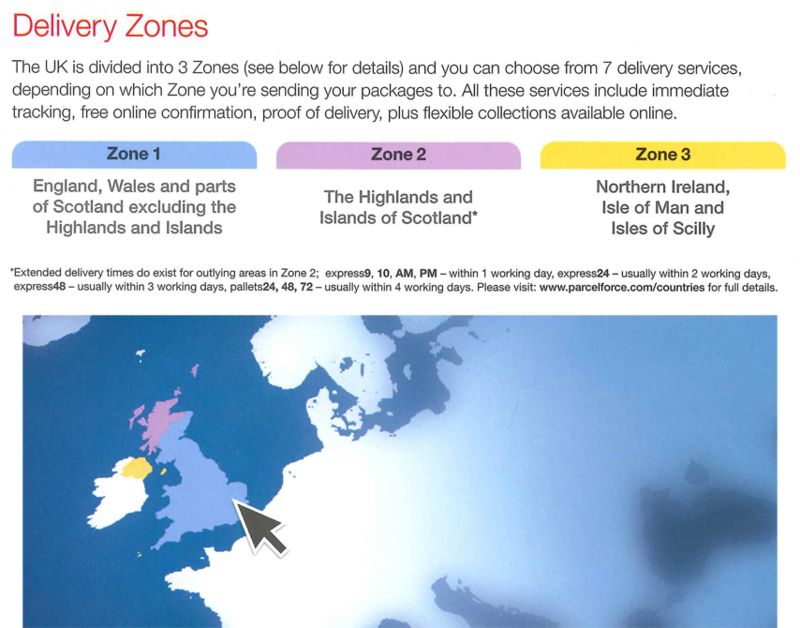 Mullaco.com are not to be held responsible for any delays in delivery or missing articles to these destinations. Please, only purchase if you accept these conditions. No deliveries to PO Box's or BFPO. Please Note: Dispatches for destinations outside of zone 1 will only occur on Monday, Tuesday and Wednesday, to accommodate a possible 2 day delay in transport. Please call on 01924 663399 if you would like to discuss the price zone for your desired delivery address. We cannot accept any liability for goods that have been sent back to the depot and perished. (i.e. there was no-one at home to receive the order. )There may also be a re-delivery charge of £ 4.99, this is at the discretion of the courier and can only be determined if a re-delivery had to be made by the courier. The courier will only make a maximum of 2 attempts to deliver, after that the goods will be held at the depot for 7 days, and thereafter, returned back to us. In this event upon the goods being in a saleable condition we will deduct the cost of postage and returns-fee of £12 and re-imburse the balance in the method that you paid us. The customer will be notified by email when the goods have been despatched. If you prefer a specific delivery date then please make a note at the end of the order or call 01924 663399 with your order number and mention your preffered delivery day/date. We use several reputable courier companies, depending on the area where the delivery needs to be made, and for this we will send you a consignment number and a link or contact for you to keep track of the order if you so desire. For Perishable items ordered (Chilled meat, frozen products or fresh fruit & vegetables) it will be the customers responsibility to ensure that someone is available to accept the parcel on the day of delivery. If an attempt was made to deliver and this failed due to nobody present at home, then the customer will be responsible and liable for the loss of goods (due to deterioration in the product), in this respect no claim can be made against Mullaco.com. No Deliveries on Saturday* or Sunday (Delivery on Saturday can be arranged in advance for an addtional £13.99 per parcel - uk mainland only. We do not delivery perishable food items outside of Europe. We can deliver non-perishable food items eg spices, groceries, cookery books anywhere in the world, but cannot be held responsible for the Customs Clearance at the Port of Entry for that country. So basically, if your country are strict on allowing food from abroad, eg USA, Australia etc then our opinion is don’t bother. Books should be ok.
Not sure if we deliver in to you? Email us now and we will reply back ASAP, with subject heading, Do you deliver to…? When completing the transaction at the time of paying, please take note of the time, as the cut-off time is 10:00 am for next-day deliveries. Once you have paid via SagePay (which is a secure payment portal) you will get and email to acknowledge that your transaction was successful or failed, which ever is the case. You will also get an email of the order which you have placed. In the event of contacting us, please use this Order /Invoice number. Your order is then in for Processing. Our team are on the case, your order is being prepared by our On-line team. Our years of experience has found that Parcelforce is the most reliable and professional courier to work with. We register your parcel for pick-up, the parcel is collected and as soon as it arrives in the local Leeds depot, you will be informed that they have your parcel and it is scheduled for delivery. On the day of delivery and usually, one hour before the delivery, if you have provided your UK mobile number, you will be sent a SMS Text message to inform you of your options to accept delivery. Fresh Meat or Frozen foods will arrive in our special insulated woolcool™. If the carton is damaged or seems open, still accept it, but sign on the document or hand held device “box damaged”. If anything is still damaged inside, email us and we will sort it out. For dry goods, in most cases, we recycle the cartons we receive from our suppliers. So our packing may look a little “scruffy” but be rest assured we are both being mindful of the environment. We even re-use the pallet shrink-wrap which we get around the pallets if at all possible. For fresh meat and frozen orders, of if it’s a mixture of both fresh and dry goods, we use a “woolcool”™box. This is a very robust and ethically sourced temperature controlling packaging form, which maintains the temperature for upto 48 hours. The inner lining is the sheeps wool, and is lined in a plastic film. This can be re-used over and over again in-house. The box is also so strong, that you can use for your own food transportation, when going on a picnic or sending food to friends and families. In some instances, some frozen products such as pastry products may defrost or begin to soften. If the delivery has been made within the agreed time of 48 hours, then Mullaco.com is not liable for this. The product will still be good, and should be used or frozen immediately.